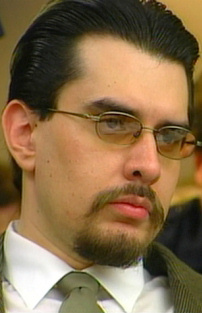 George Rivas was executed by the state of Texas on February 29, 2012. George was pronounced dead at 6:22 CST, inside the Walls Unit execution chamber at the Huntsville State Penitentiary in Huntsville, Texas. George was 41 years of age. He was executed for the murder of 29-year-old Irving police officer Aubrey Hawkins on December 24, 2000, in Irving, Texas. George was a member of the “Texas Seven,” a group of seven Texas inmates who escaped from the maximum-security Connally Prison Unit. Officer Hawkins was killed when the group robbed a sporting goods store after their escape. Six of the men were sentenced to death, while three have been executed so far. The seventh member of the group committed suicide. George spent the last 11 years of his life on Texas’ death row. At the time of the escape, George, the purported leader of the group, was serving 17 life sentence. He had previously been convicted on various aggravated kidnapping, burglary, and aggravated robbery charges. George had graduated from high school and worked as a clerk, cook, and laborer before his arrest. Please pray for peace and healing for the family of Aubrey Hawkins. Please pray for the family of George.